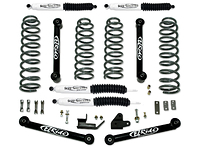 The Rancho "RS9000XL series shock absorbers allow you to control your ride quality. With 9 position tuning technology you decide how stiff or soft to set your shocks, providing up to 400% change in control. 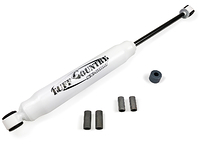 By just turning an adjuster knob located at the bottom of the body of the shock, you can switch from an off road performance shock to an on road comfort ride. 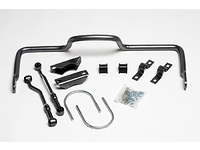 Need to haul a heavy load? 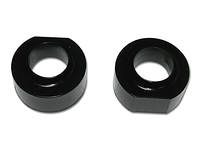 Just turn the adjuster knob up to 9 for a firmer more controlled ride. Jeep Grand Cherokee owners now have the ability to decide what ride they like best. 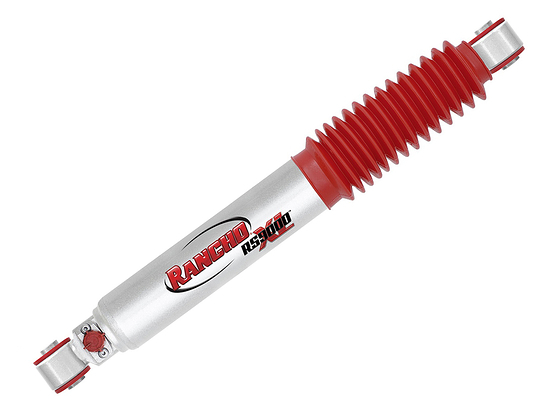 Rancho RS9000XL shock absorbers offer a large 2.75" (70mm) body diameter and large 18mm Nitro carb rod for performance and strength you can count on. Don't settle for just one shock when you can buy one shock that acts like 9 different shocks.